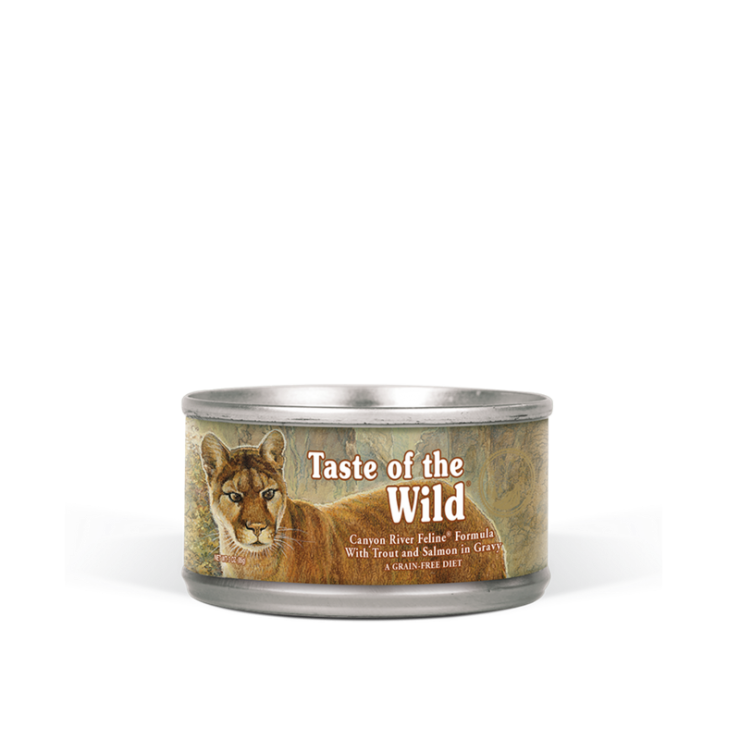 A great-tasting complement to the Canyon River Feline dry formula, or a stand-alone diet for your special cat. A grain-free formula with sweet potatoes provides highly digestible energy for your active cat. Made with trout and salmon, this formula offers great taste and quality fish protein. Veterinarians recommend feeding wet food as part of your cat’s diet to lower carbohydrate intake and to increase water intake, both important features in feline nutrition. Satisfy your cat’s nutritional needs by feeding Canyon River Feline Formula with Trout and Salmon in Gravy.